MoneyGram International, Inc goes by the ticker MGI on the NASDAQ GS. At the time of writing (November 2018), MoneyGram stock was priced at approximately $4.40 per share. For the year-to-date, MoneyGram stock has declined from $12.28 per share, shedding almost $8 in 2018. The company’s market capitalisation is currently $245.46 million with no price/earnings ratio and a -0.56 earnings per share. The 1-year target estimate price for MoneyGram is $6.25. It is noteworthy that MoneyGram traded as high as $15.54 over the past 52 weeks, indicating that there has been a significant downgrading of investor confidence and performance in this stock. MoneyGram International Inc is a money transfer service with HQ in Dallas, Texas. It offers international money transfer services with locations all over the world. According to Zacks Investment Research, MoneyGram stock is no longer the darling of investors in the money transfer services industry. There were several reasons why the stock capitulated, notably fundamental weaknesses in its money transfer business which comprises a substantial source of the company’s overall revenues. 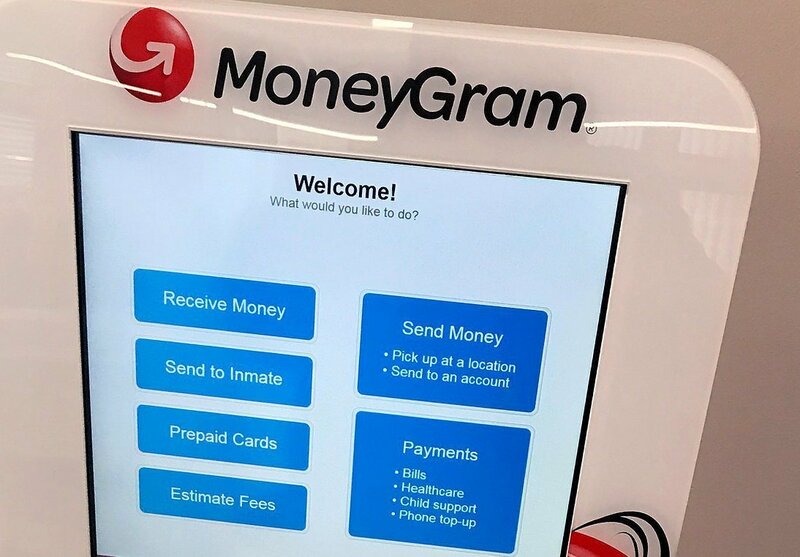 More importantly, MoneyGram faces a slew of challenges from up-and-coming start-ups, online money transfer services and other FinTech operations. At a time where the industry was growing at a rate of 6%, MoneyGram was plunging in double digits. 2018 has seen many online money transfer companies come into their own. The volatility of the FX market is but one of several reasons why MoneyGram transfers are losing market share. Governments around the world are placing increasingly stringent regulations on money transfer services, and pricing pressures have come home to bite. Besides for increasing costs of compliance vis-a-vis governance structures and regulations, MoneyGram is having to shelve out millions of dollars which is eating into its bottom line with sharply decreasing growth prospects. Overall, lower remittance rates have resulted in weakness in many Middle Eastern markets for MoneyGram, notably Saudi Arabia. In Africa, MoneyGram has suffered from decreased market share when Nigeria reduced the permitted allotment to just 50% of what it previously was. As a result, stock prices are generally weak and market share is slacking. How Are Competitors Eating into MoneyGram’s Market Share? International money transfer companies like World First and HiFX are starting to dominate the online money transfer industry in a big way. They are but two of many FinTech operations now coming into their own. When it comes to money transfer companies, a growing number of people are choosing these money transfer companies over established banks and financial institutions. World First is a privately-owned enterprise (operating since 2004) with offices across 5 continents. It features 75,000 active clients, and growing. This online money transfer service currently offers 121 currencies, with no fees on transfers, except for small transfers which cost $10. HiFX is owned by Euronet, and is headquartered in London, UK. While this money transfer services company does not offer as many currencies – 5 dozen pairs offered, it accepts clients from across Australia and Europe. The fee is £9 per transfer, and it’s fully regulated by the FOC, FMA, and FCA. There are pros and cons to each of these services, notably that WorldFirst does not offer FX options and is markedly smaller than HiFX. From the other side, HiFX lacks transparency on rates, and is a little clunky in terms of registration. There are mixed reviews on the services offered by HiFX and WorldFirst, but the majority of customer feedback has been positive. These companies are proving to be a thorn in the side of market giant MoneyGram. As more clients shift to WorldFirst and HiFX, the drip, drip from MoneyGram becomes a slow and steady trickle to alternative online money transfer services.